During The Who’s performance at the Leeds Wireless Festival in 2005, Pete Townsend announced he was about to debut 7 new songs. At that moment all the hot-dog vendors, the bar staff and the toilets at the event suddenly became very busy. This must be a worry for any artist with a back catalog of hits. No one would want to risk a mass exodus by playing more new songs than old classics would they? 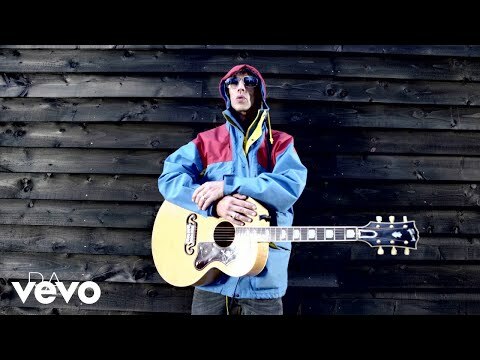 Well - Richard Ashcroft would. It was his UK debut performance with new band the United Nations of Sound. Playing the majority of their upcoming album Redemption to a full house at Manchester’s 1500 capacity Academy. The band powered through it and it very quickly became apparent that the United Nation of Sounds were more than just Ashcroft’s backing band. It turns out they are all top musicians in their own right, and all seemed keen to show this with plenty of guitar and even drum solos. Ashcroft seemed to be in high spirits through out the show, and seemed very comfortable with his new American band mates. In fact, he seemed to have a bit of a thing for America full stop. Or period. As they would say. Making reference to England’s recent world cup clash with the USA, he then waved an England flag, which got a massive cheer from the crowd. Ashcroft then turned it around to show the stars and stripes, which the crowd then booed. He repeated this action – quite a lot. Getting cheers and boos in turn. Audience participation. Like Ashcroft, in a pantomime. It seemed he had football on his mind all night. As an avid Manchester United fan he took the opportunity to show his anti–Glazer support by waving around the green and gold scarf. All new songs had an air of familiarity about them. Tracks like 'Born Again' and 'This Thing Called Life' had fans picking up the lyrics and singing along by at least the last chorus. The biggest cheer of the night went to 'Lucky Man,' which he did with the full band. But that was the only Verve song he played accompanied. The rest were acoustic. He was more than happy to play the old stuff though, even asking for requests, getting the audience to shout out what they wanted to hear. This resulted in a rousing performance of 'Weeping Willow' from the 1997 album Urban Hymns. 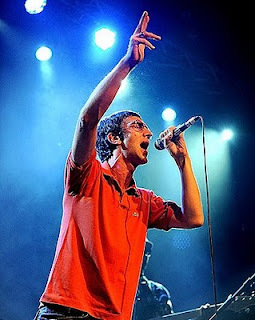 The general consensus after the gig was that the new material was promising and that perhaps exciting times are ahead for Richard Ashcroft. But the most common phrase I heard was “he didn’t play Bitter Sweet Symphony”.